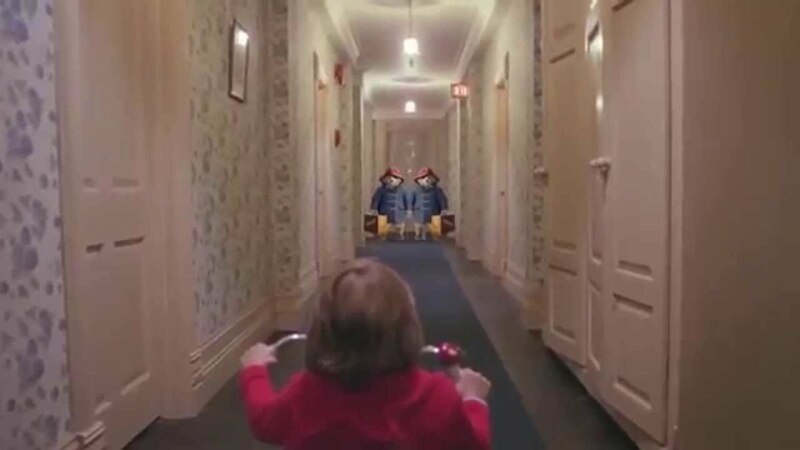 So, Paddington Bear, beloved character of books, TV and now a movie, has crossed paths with Stanley Kubrick already, in the internet meme which saw the Peruvian immigrant popping up in various horror films, including THE SHINING. I’ve long felt that something should be done about the fact that Kubrick’s masterly BARRY LYNDON and the charming children’s show Paddington Bear share a narrator, the great Michael Hordern. So I’ve done something. Paddington Beary Lyndon from David Cairns on Vimeo. I’m not sure it redounds to my credit. Still, I can add my name to Soderbergh’s on the list of people who have interviewed Richard Lester and fannied about with Kubrick films. Next I shall remake SOLARIS in my backyard. PaddingtonBearyLyndon2 from David Cairns on Vimeo. This entry was posted on May 9, 2015 at 10:28 am and is filed under FILM, Television with tags Barry Lyndon, Michael Hordern, Paddington Bear, Stanley Kubrick, Steven Soderbergh, The Shining. You can follow any responses to this entry through the RSS 2.0 feed. You can leave a response, or trackback from your own site. American though I am, I did read a few of Paddington Bear’s adventures in my childhood. I’m glad I stopped before “Paddington Bear Joins the Prussian Army”, though, and especially glad I missed the final book in which he returns to Peru a drink-soaked ruin. There are some amusing bits when he’s an international card sharp, though, his hirsuit features making for a highly effective “poker face”.